Order in the next 3 hours, 59 minutes and 14 seconds for same day shipping. 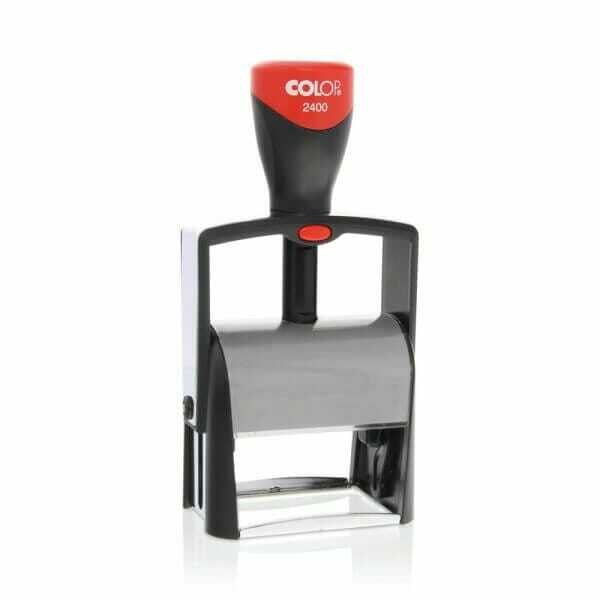 The right stamp for daily professional, intensive use in the office. The Colop Classic Line 2400 is a metal stamp that allows you to enter 7 lines of custom text. The text plate has the size of the 1 3/16" x 2 3/16" and can accommodate up to 7 lines of text. The Classic Line metal range is distinguished by extreme reliability and very high durability. The compatible replacement ink pad 6/2400 is available in black, blue, red, green and violet. Customer evaluation for "Colop Classic Line 2400 1 3/16" x 2 3/16" - 7 lines"